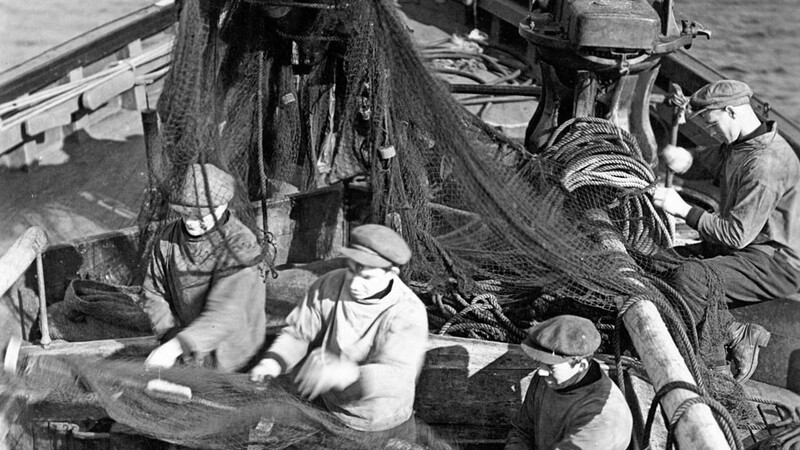 Government communications is as old as government, or indeed — as old as communications. 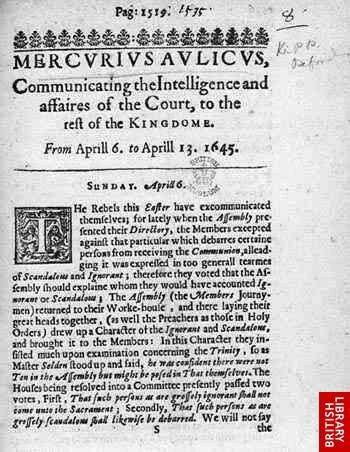 Most early government communications is best described as propaganda — for example early newspapers like Mercurius Aulicus. It was published by the Royalist side during the English Civil War, and carried the strap line “Communicating the Intelligence and affaires of the Court”. It was revolutionary in the way it attempted to stir up anti-Parliament opinion. 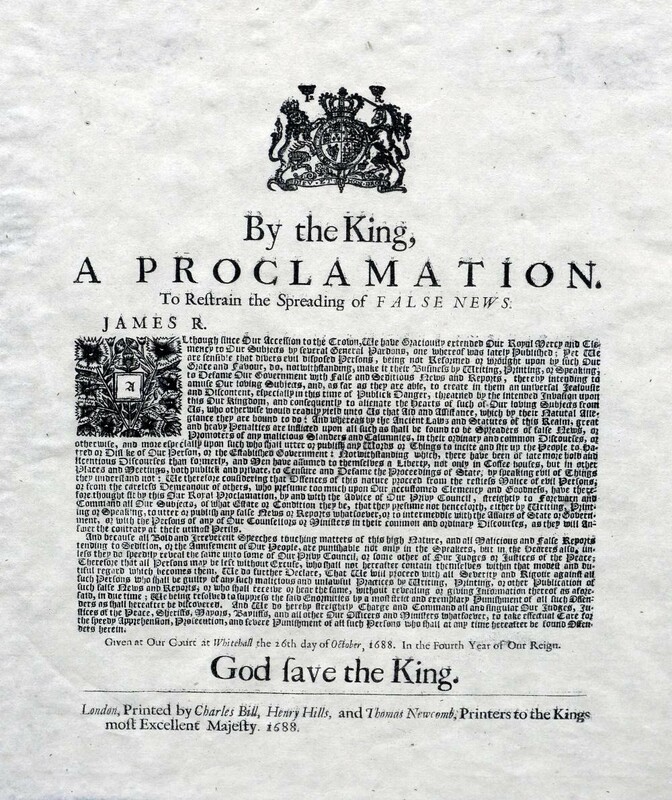 By 1688, the Stuart King James II was so alarmed by the increasing popularity of propaganda-sheets that he banned them. The ban came weeks before James II was forced to flee London following the invasion of England by William of Orange and his wife, Mary. But the birth of proper government communications of the sort we would recognise today had to wait for another 200 years. By the mid-Victorian era, reforming governments were making big changes in areas like education, the civil service and the army. 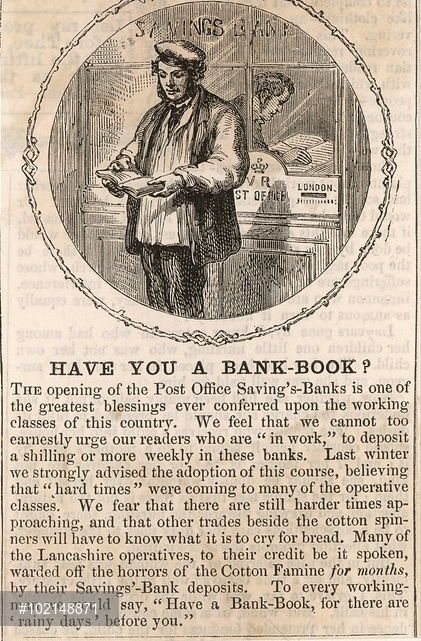 One innovation was the creation of the Post Office Savings Bank in 1861. It was designed to encourage people to save for their old age, or for unemployment or sickness — and keep them out of the workhouse where taxpayers would be forced to pay to look after them. 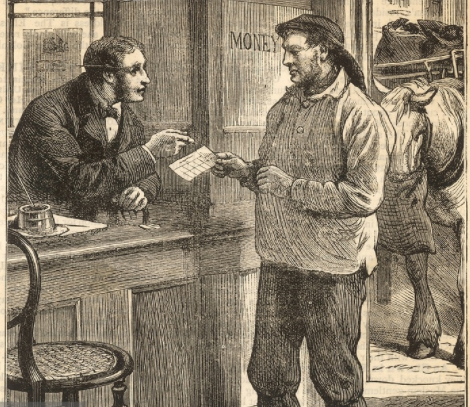 An endorsement in the newspaper which states the opening of the Post Office Savings Bank is one of the greatest blessings ever conferred upon the working classes of this country (left). A coal carter opening an account with Her Majesty to Queen (right). 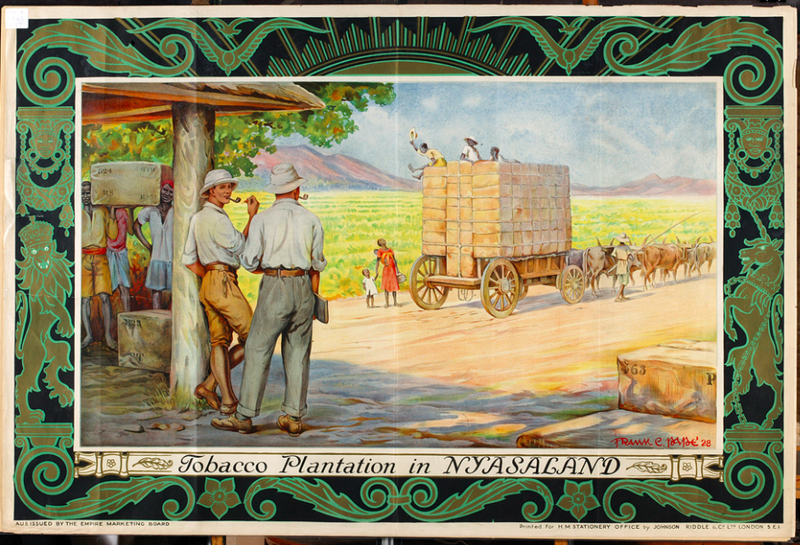 A very early example of a behaviour change campaign aimed at getting savers to put a shilling a week into the new bank, these handbills and print advertisements also showed clear evidence of a targeted approach to audiences — in this case industrial workers like the humble coal delivery cart driver shown in the picture. 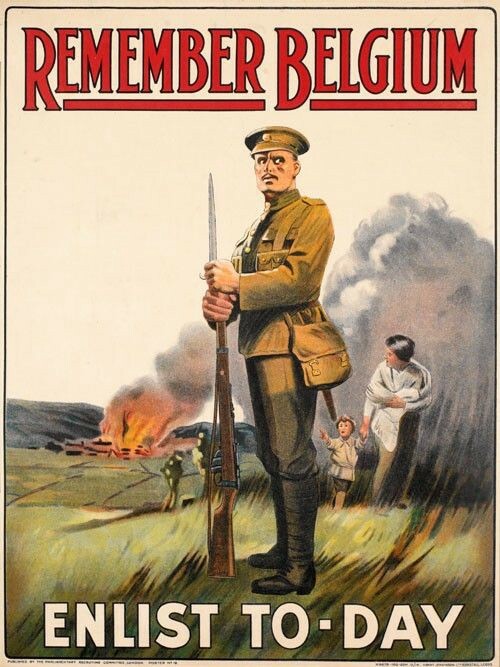 It was the First World War which caused the first big expansion of the British government’s ability to talk to citizens. As soon as the war started in 1914, the Foreign Office created its news department — the first press office in Whitehall. 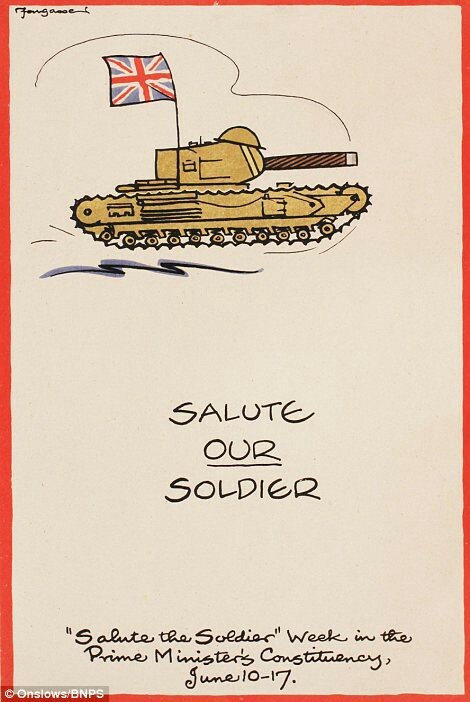 Creating a large army was the most important mission for UK government communicators. Britain was unique among major European countries in having only a small professional army — with around 100,000 men in uniform compared to countries including France, Germany and Austria-Hungary. 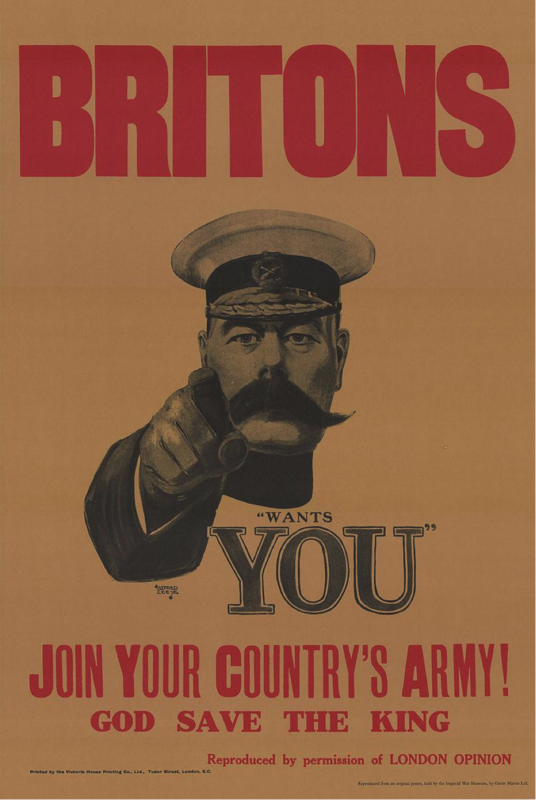 Just weeks after the start of the war, advertising like the famous “Lord Kitchener Wants You!” was being distributed. It became a design classic and was copied by other countries including the United States and Soviet Russia. 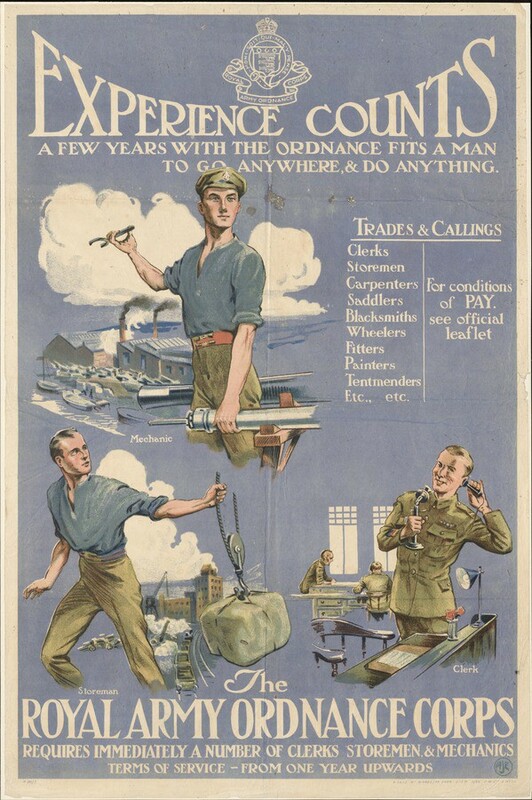 Other posters suggested that recruits would learn new skills if they joined up. 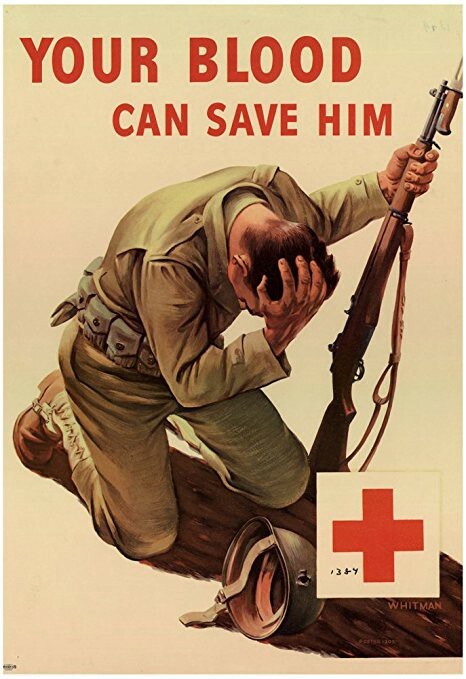 The tone of posters became more emotive over time. 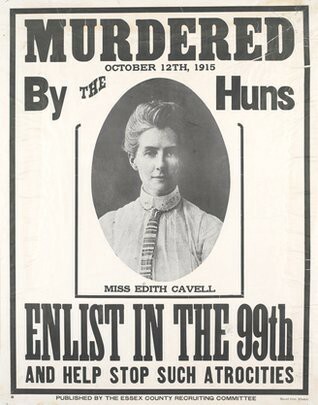 After Edith Cavell was shot as a spy in Brussels in 1915 for assisting escaped British prisoners-of-war, this also featured in a poster. 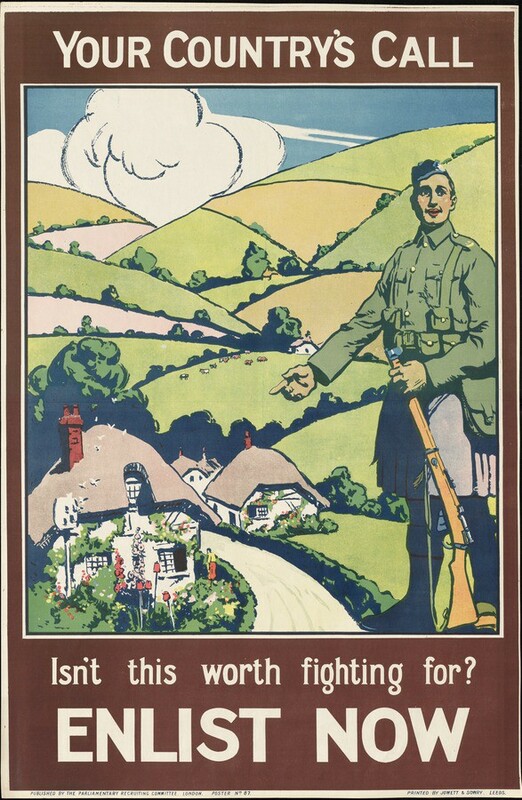 But by 1916 there was a general sense that losing the war was a real possibility. Herbert Asquith fell as Prime Minister, to be replaced by David Lloyd George. Real concern was growing, too, that pacifist opinion was growing in this country. Alongside the creation of the Cabinet Office itself, the first Department of Information was formed in February 1917. 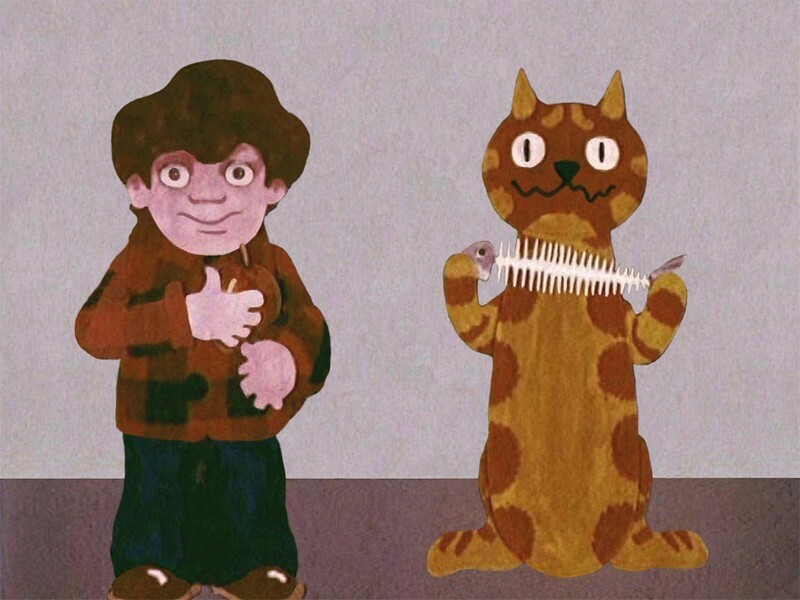 This was the first time that the UK government had ever had a central communications team. 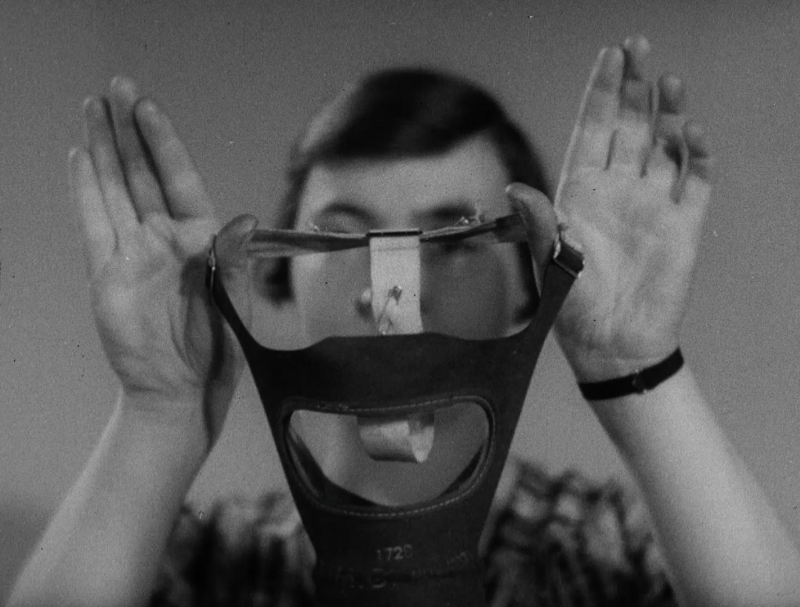 One of the Department’s first major projects was to recruit Hollywood’s greatest film director of the time, DW Griffiths. 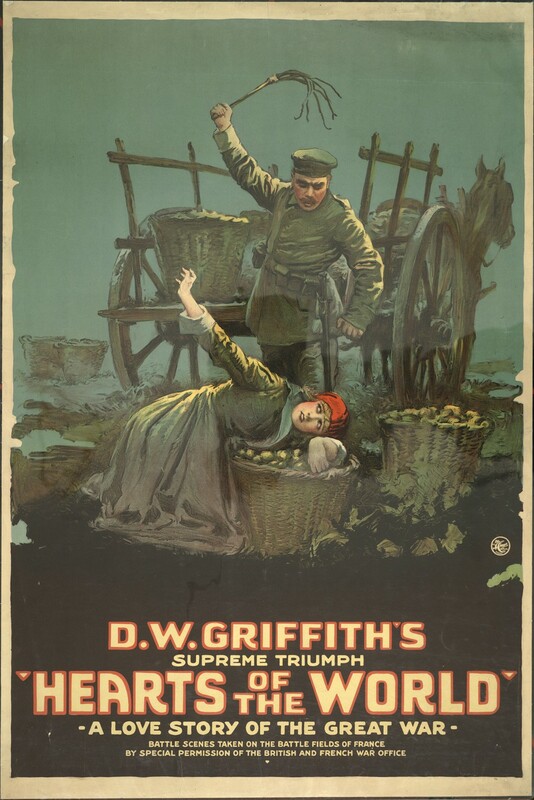 Alongside Lillian Gish, one of the biggest stars of the silent era, “Hearts of the World” included large numbers of British troops — who were sent to Hollywood to perform as extras. The Department of Information became the Ministry of Information in 1918, under the leadership of Lord Beaverbrook. But it was abolished at the end of the war. By the mid-1920, it had emerged that many — but not all — of the claims made during World War I had been embellished. 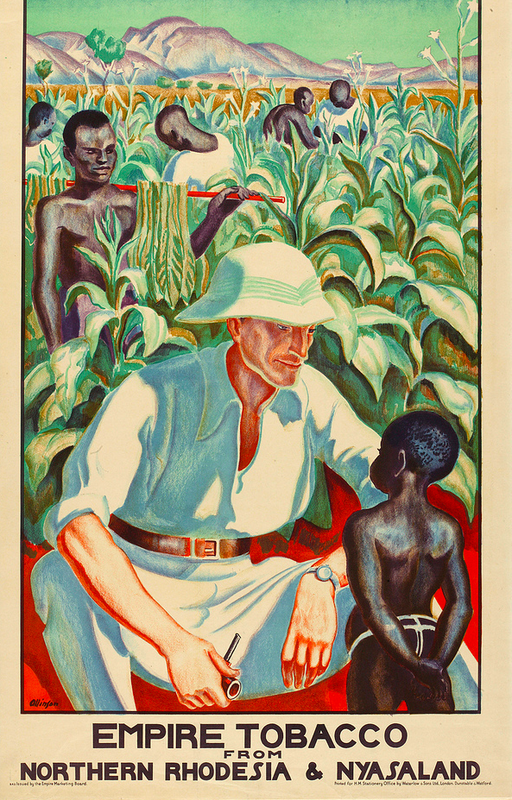 But official propaganda made a controversial return during the General Strike in 1926. 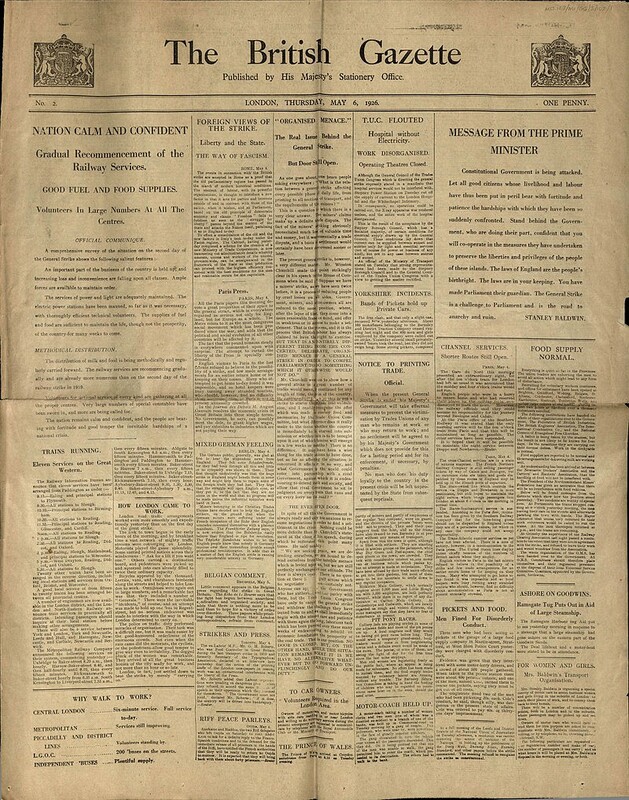 Faced with a near-total news blackout, the Government published its own paper, The British Gazette, edited by Winston Churchill — then Chancellor of the Exchequer. 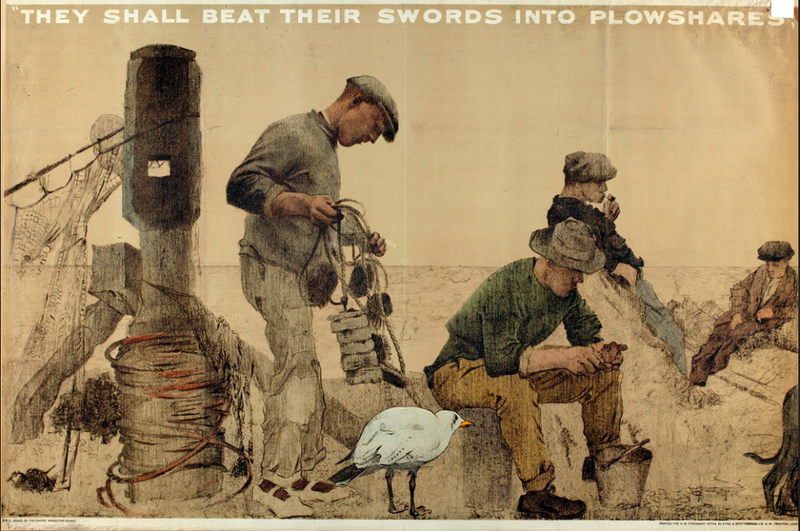 Just eight editions of the anti-strike broadsheet which carried headlines like “NATION CALM AND CONFIDENT” were produced but each had a print run of over 2,000,000 copies. The Trades Union Congress printed its own paper, The British Worker. 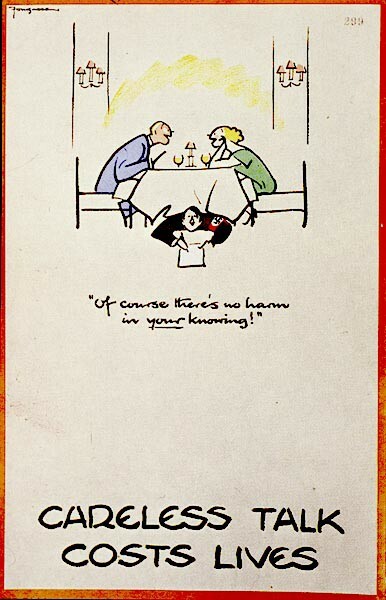 One of the first government efforts at using communications to change everyday habits was the Empire Marketing Board, which existed between 1926 and 1933. 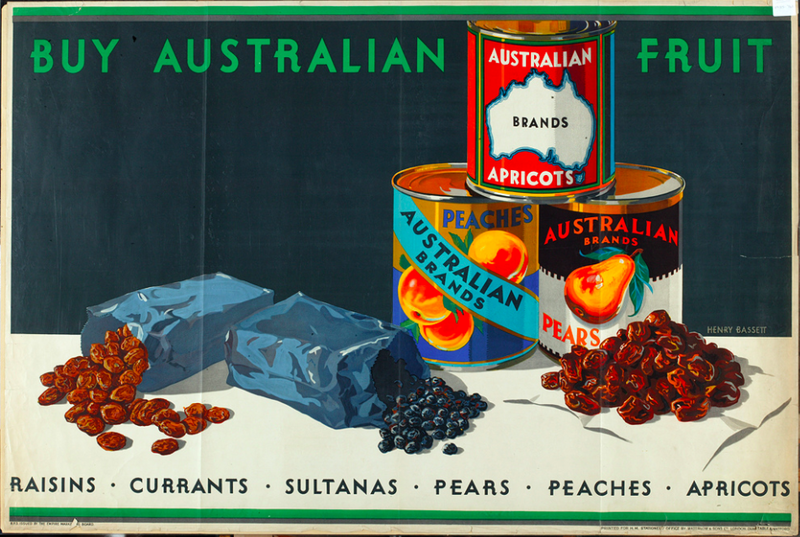 It was designed to encourage consumers to buy goods from the British Empire, rather than from countries like the United States or Japan. 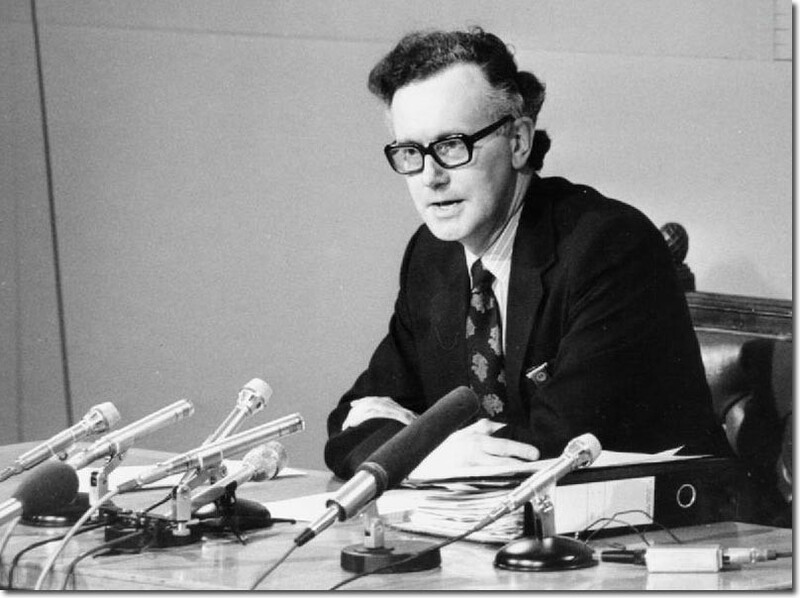 The EMB had a large budget and was run by Sir Stephen Tallents, often seen as the founder of British public relations. 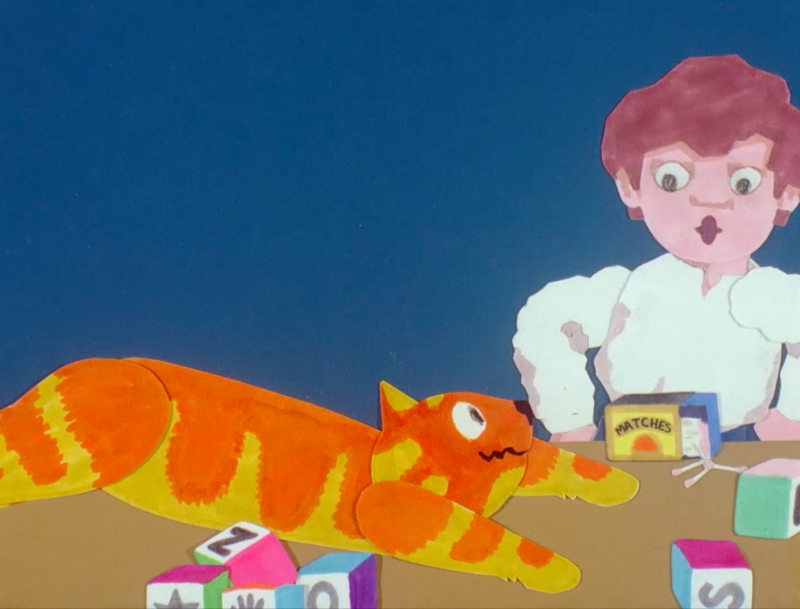 It used poster campaigns, sponsorship, exhibitions, radio programmes and stunts to reach consumers — often targeting women as they did the bulk of shopping. 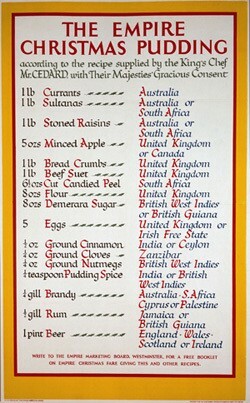 Stunts included giant Christmas Puddings made with ingredients from across the Empire. Tallents went on to work for the GPO — at the time one of Britain’s biggest employers. 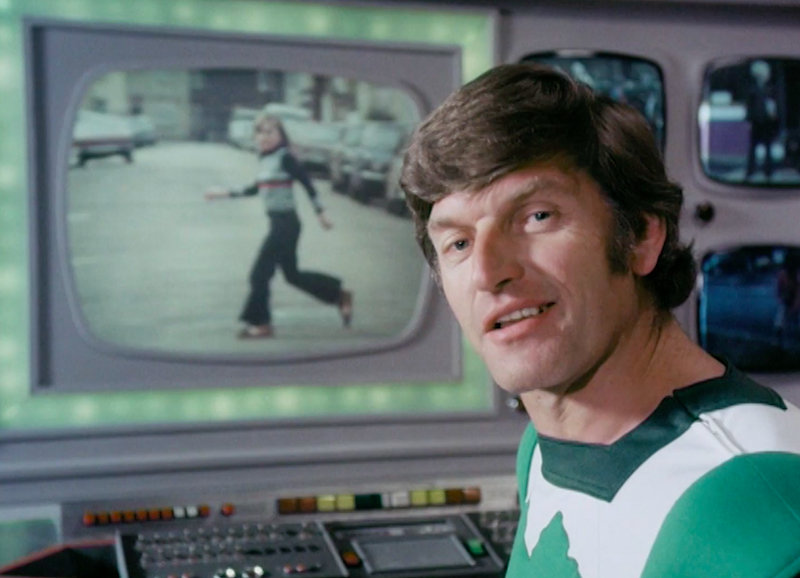 He brought his enthusiasm for film-making with him, with the most famous outcome being “Night Mail” — which included music by Benjamin Britten and a verse commentary by WH Auden. 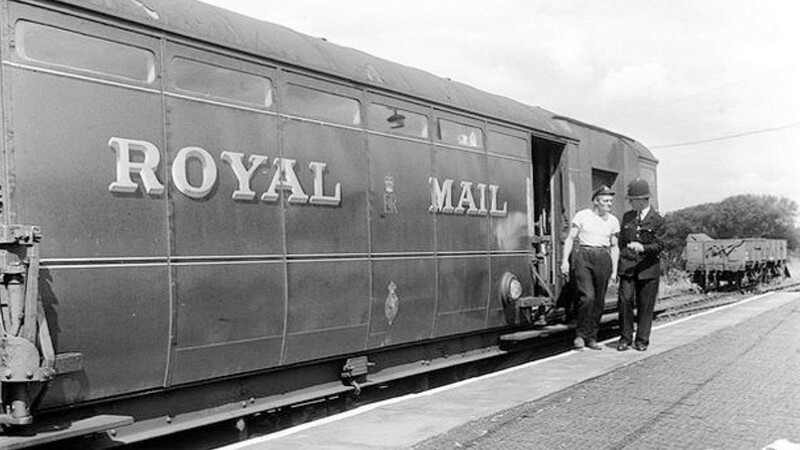 The film was designed to show the Royal Mail and its staff as efficient and modern — and even heroic in an everyday fashion. Auden’s poem is still widely learnt by heart today. 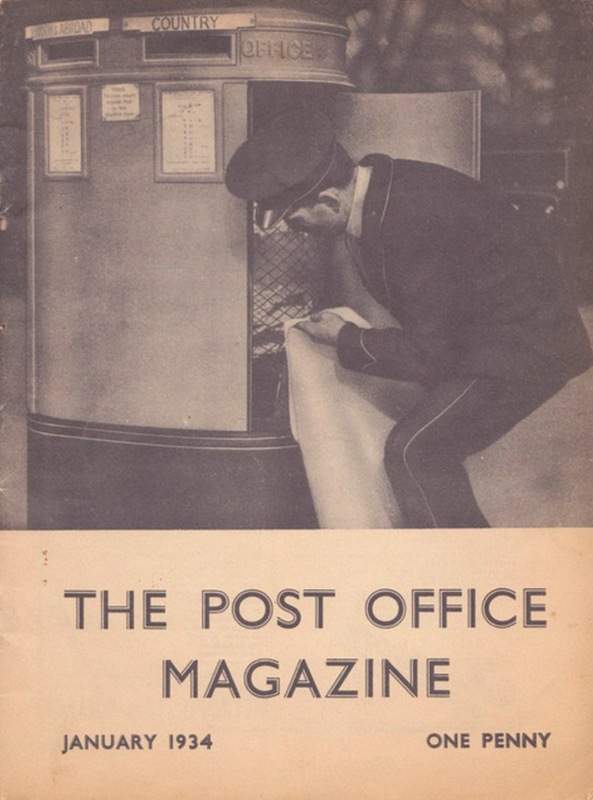 Another example of Tallents’ concern for internal communications was the Post Office Magazine (below). Initially conceived of as internal communications tool, the quality of the publication was so high that it became a huge public success, with a circulation over 300,000. 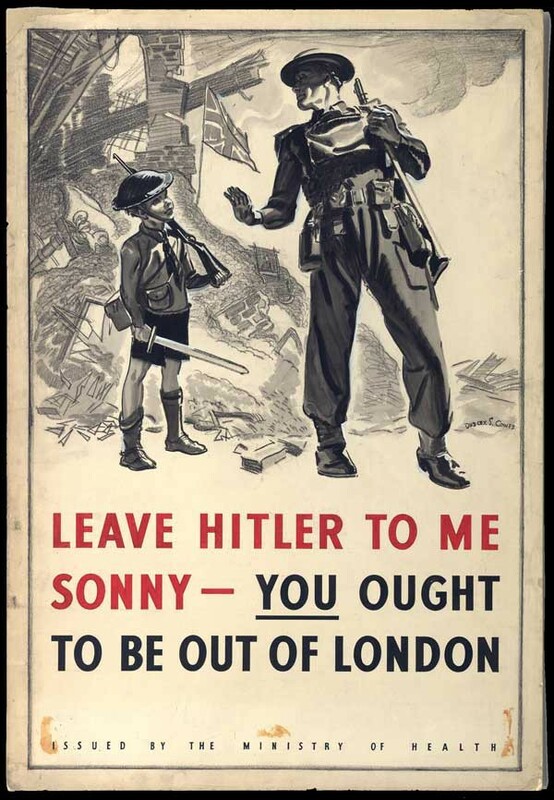 Britain had been preparing for World War II since the mid-1930s. 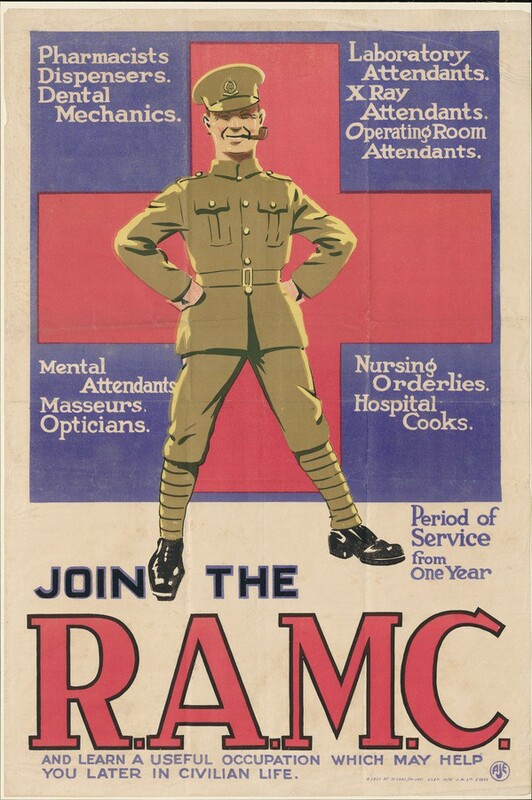 This time there was no need for a major recruitment campaign — with universal conscription being introduced just days after the war began in 1939. 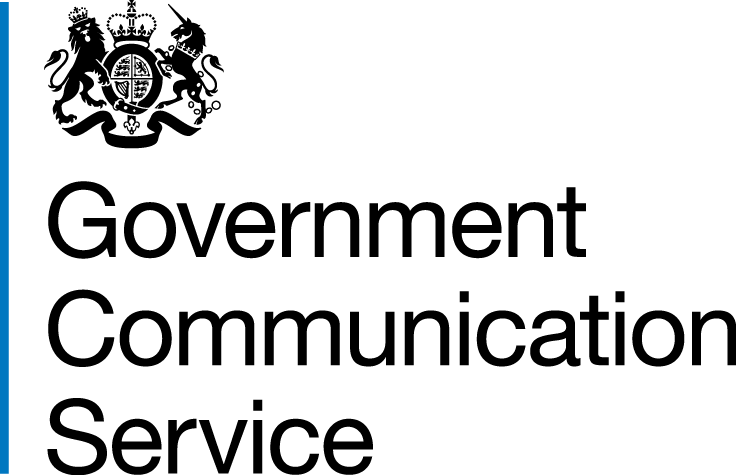 A new Ministry of Information had been planned as early as 1935. The day after war began on 3 September, 1939 it was officially created. The MoI was in charge of most government campaigns during the war. 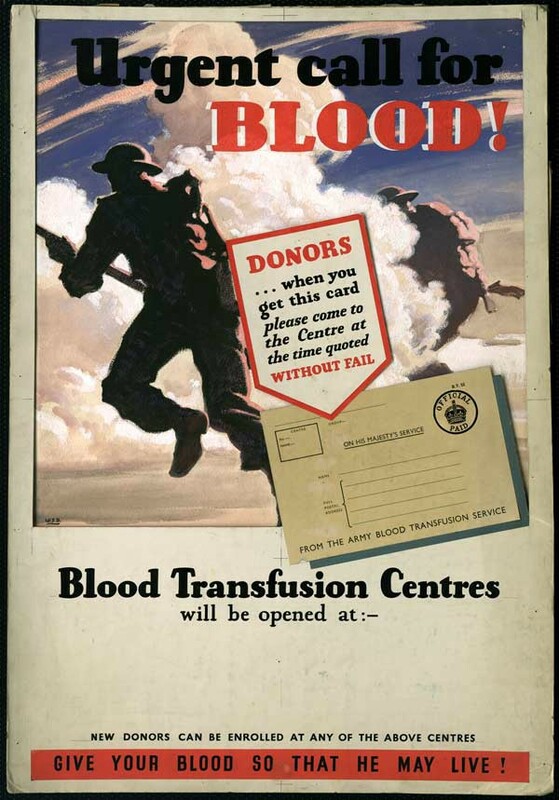 It was not helped by a poster campaign that misfired in 1939. 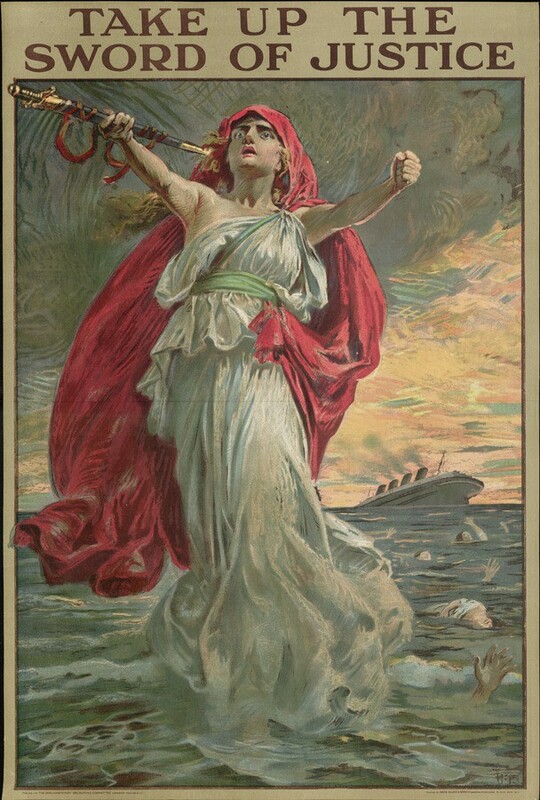 With expectations that terror bombing would cause hundreds of thousands of casualties as soon as war began a series of posters were produced. Millions of copies were printed, including the famous “Keep Calm And Carry On” poster, designed to be deployed in areas devastated by bombing or gas attack. This was never actually distributed. 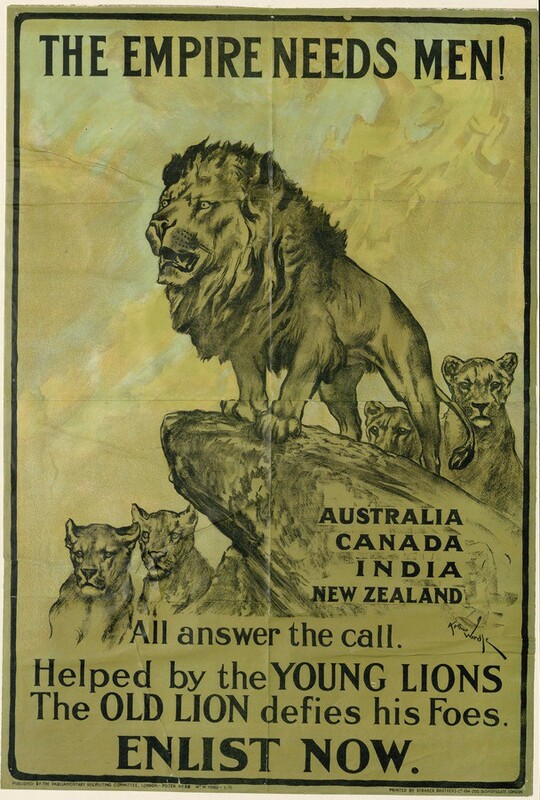 One poster which was distributed, headlined “YOUR COURAGE”, got a mixed public reaction. 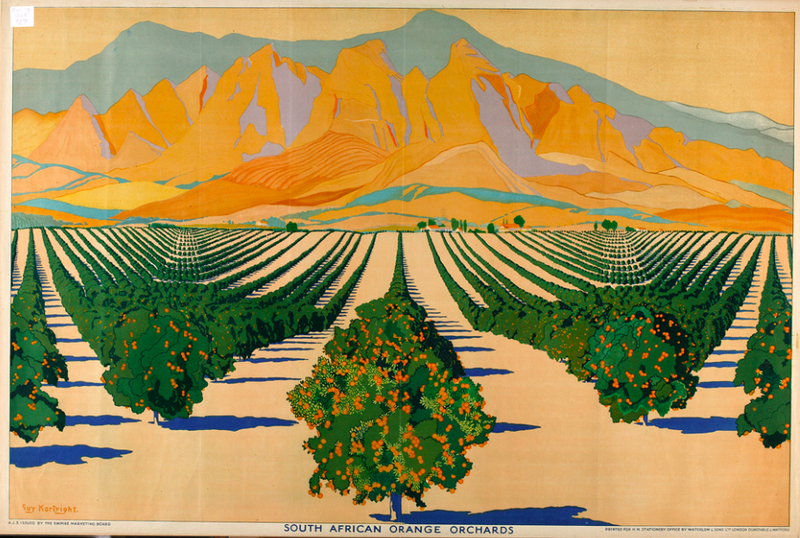 Other Ministry of Information campaigns were more successful, and produced some striking images which are still familiar. 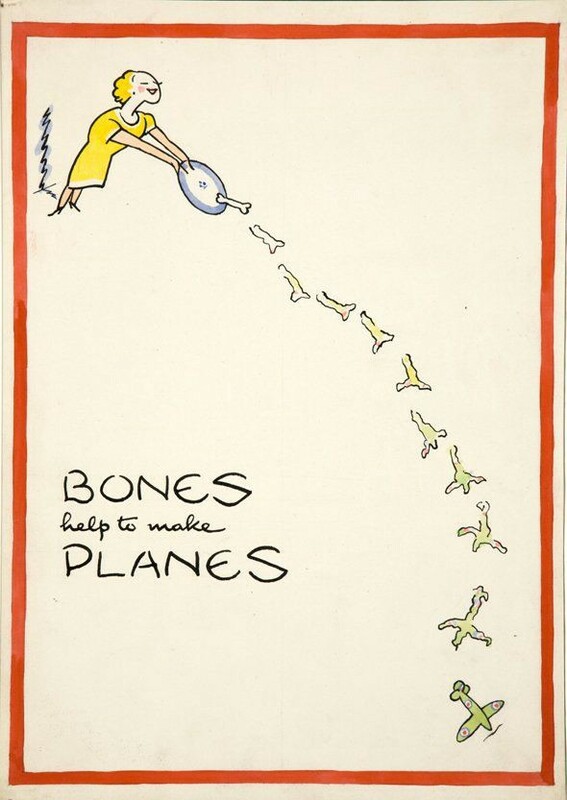 Once again, some of Britain’s best “creatives” were involved in the work like the cartoonist Kenneth Bird — known as “Fougasse” - who was also editor of Punch. 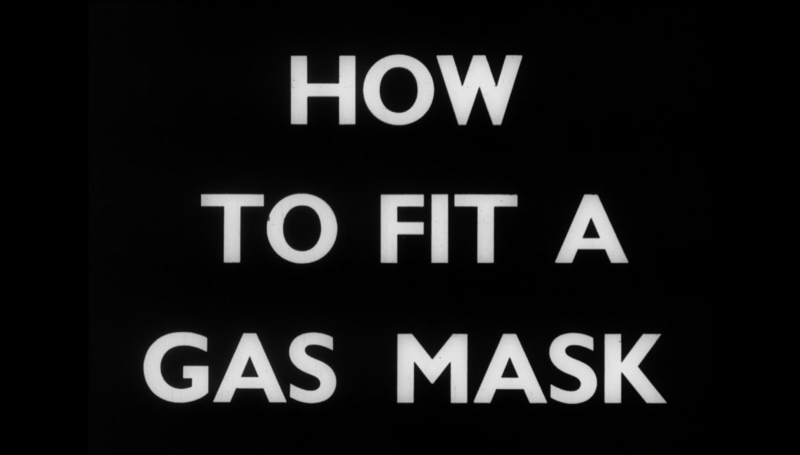 The Ministry of Information also used film in its public information efforts, such as this “short” telling people how to fit a gas mask. 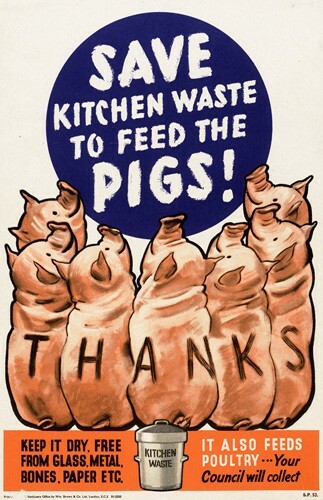 These campaigns encouraged people to economise on travel, save waste paper, and to obey rationing. 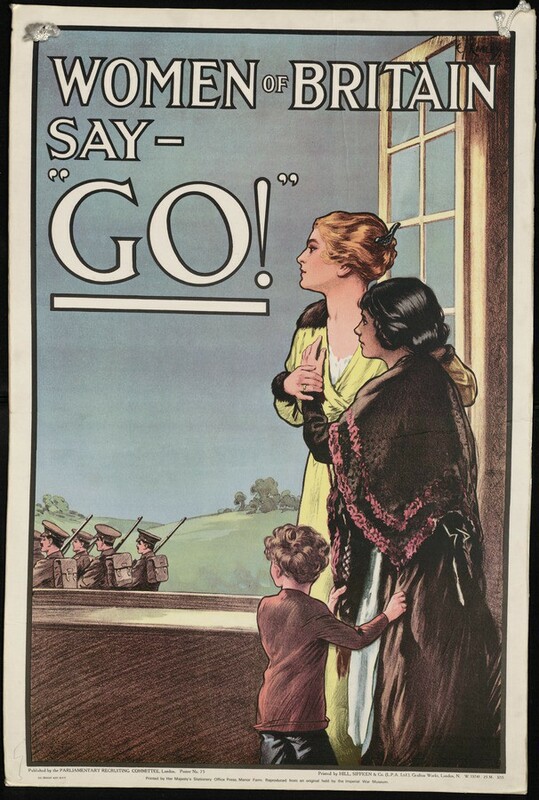 Other posters targeted families who had tried to bring their children back to the capital from evacuation to the countryside. Alongside information campaigns, among the most useful accomplishments of the Ministry of Information was its ability to gather insight. 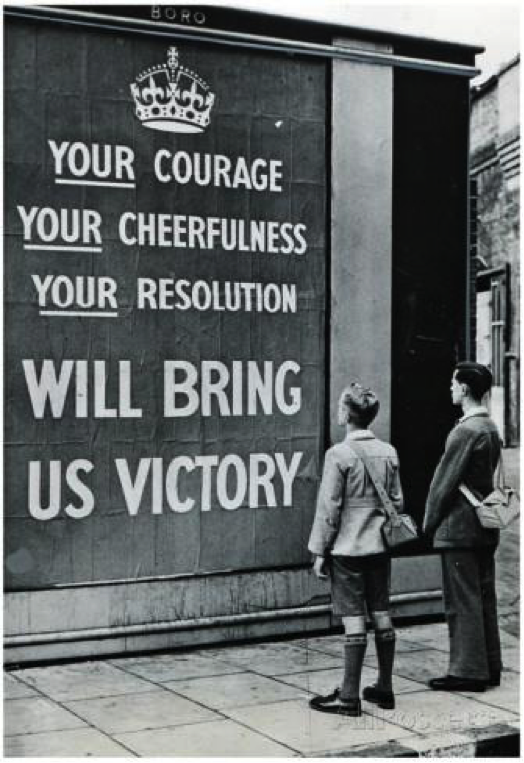 Hundreds of thousands of Britons were interviewed, with weekly reports compiled on morale. These reports showed that what the public wanted most of all was information, or news. They wanted to feel that the Government trusted them. 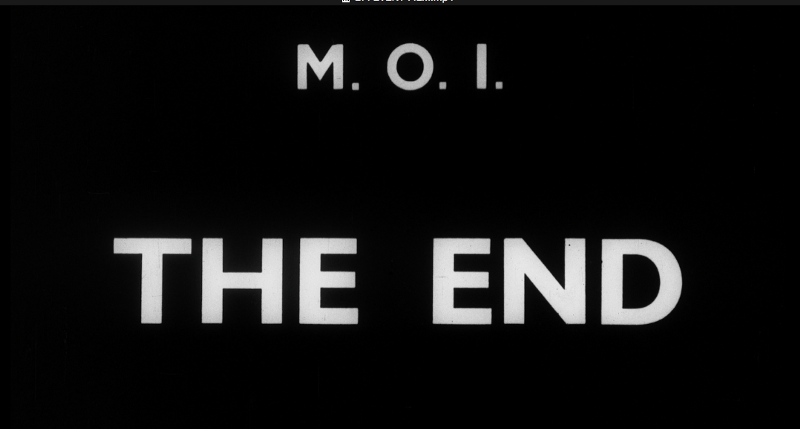 The end of the war again saw the abolition of the Ministry of Information. It was replaced by the Central Office of Information, which carried on many of the same campaigns — such as “Coughs and Sneezes Spread Diseases”. 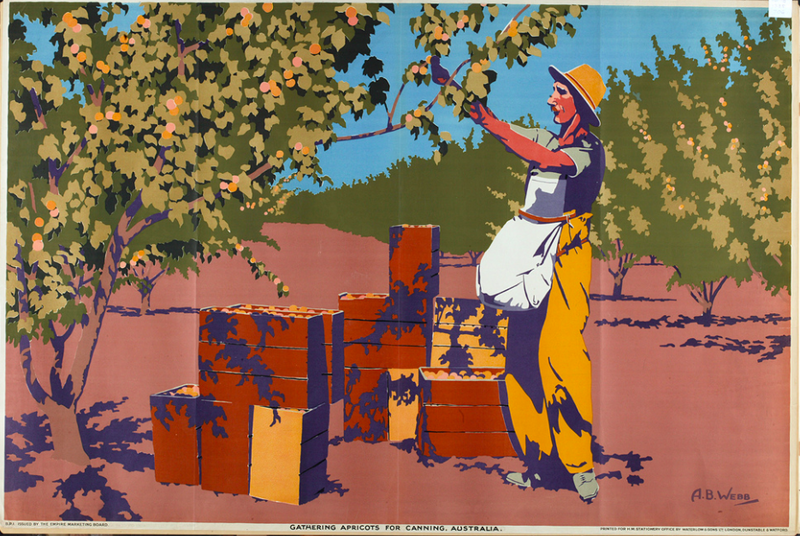 The new central function was to include poster advertising, exhibitions, photographs, publications and films, plus a central channel for the distribution of Government news provided by individual departments. 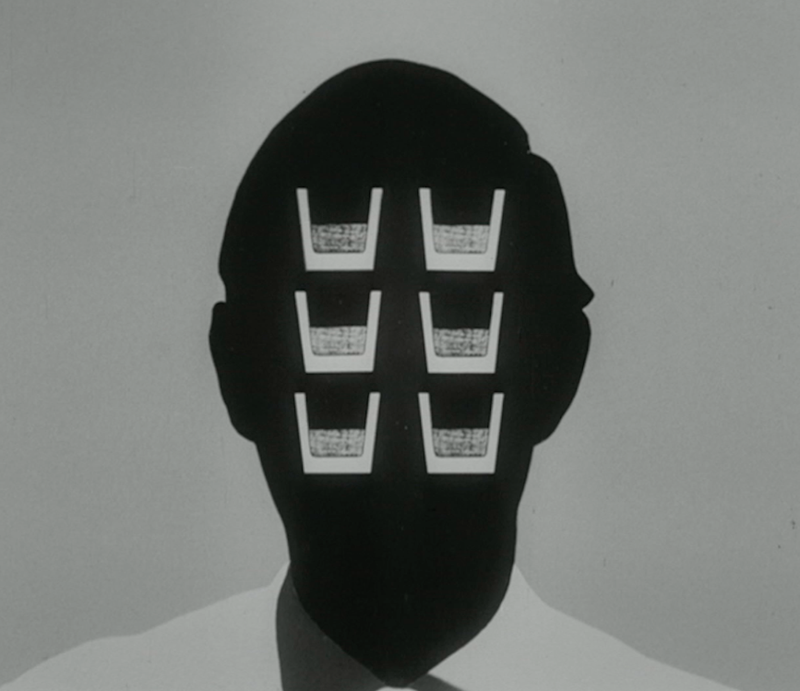 In the post-war era, the Central Office of Information developed an ever-growing list of campaigns. Prominent among them was road safety. 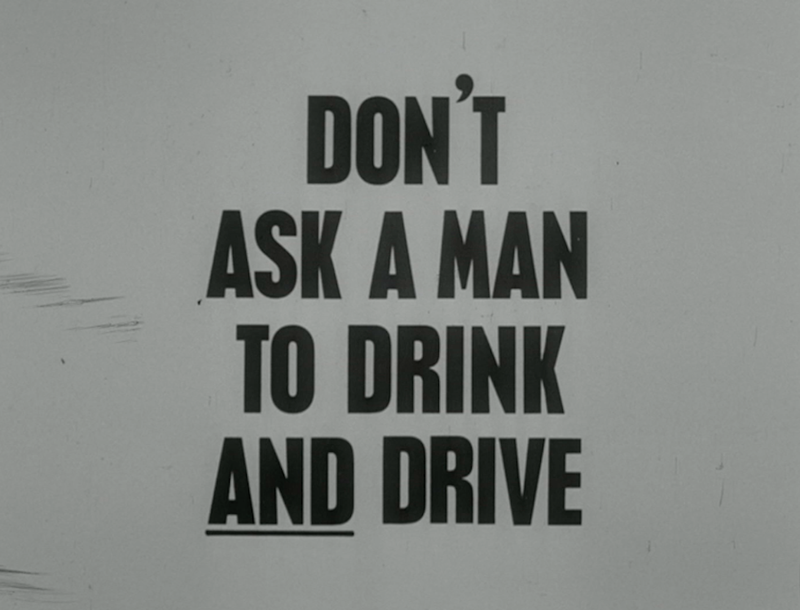 The drink drive advert of 1964 below, does not include the shock tactics of later campaigns. Another huge success was the “Tufty Club”, devoted to road safety. 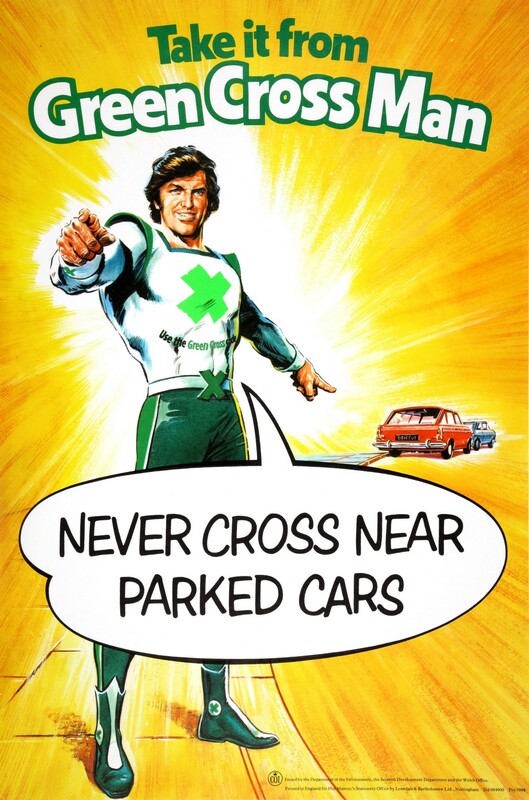 One of the campaigns was warning pedestrians to stay out of the way of drivers. 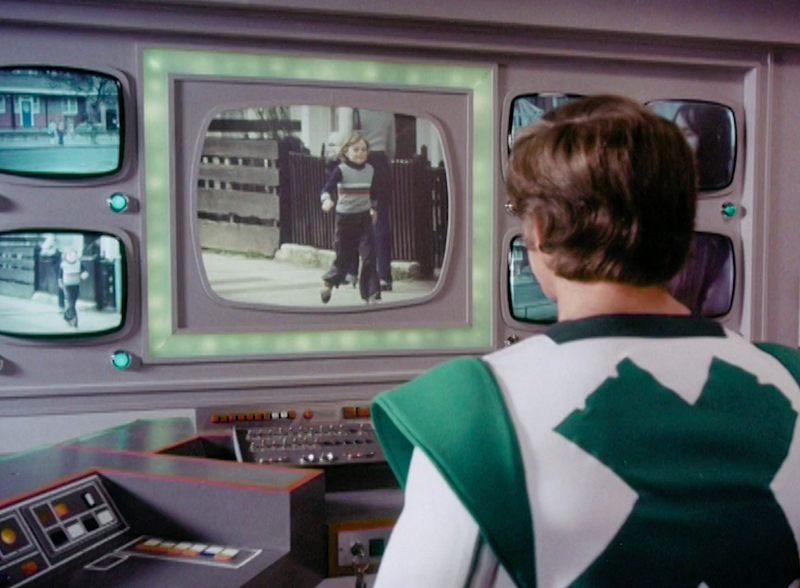 By 1970, it had attracted two million members. 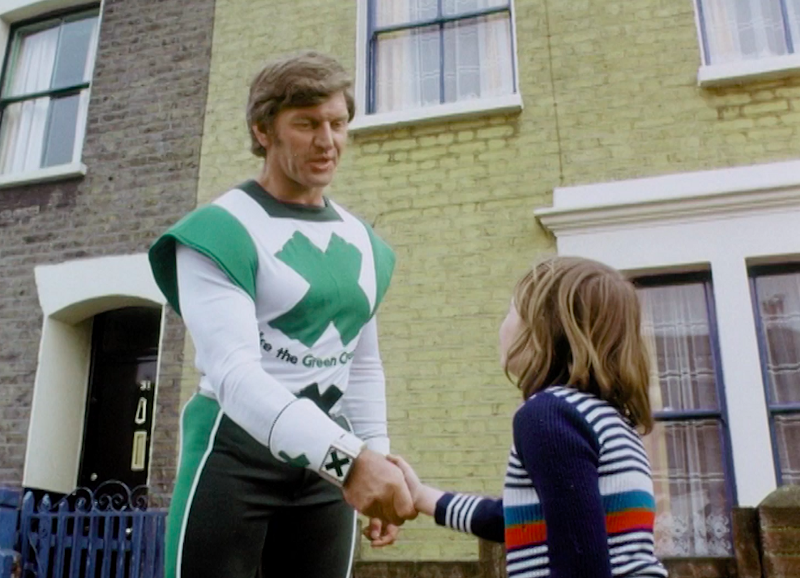 The late 1960s saw the introduction of the Green Cross Code, with adverts starring Dave Prowse — later to find even greater fame as Darth Vader in the Star Wars films. The evaluation of that campaign showed a drop of 11 per cent in child casualties, while the introduction of the new “Klunk-Klik” seatbelt campaign fronted by Shaw Taylor showed a doubling of seat belt use in test areas. Renamed “Clunk! 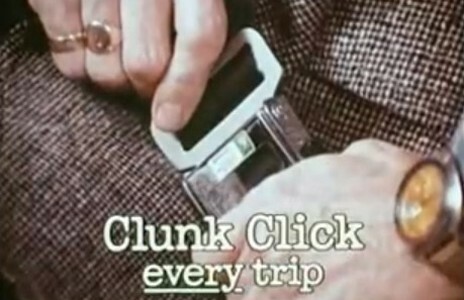 Click!” the campaign went national in 1973 and saw seatbelt use increase from 14 per cent of drivers to 32.4 per cent. 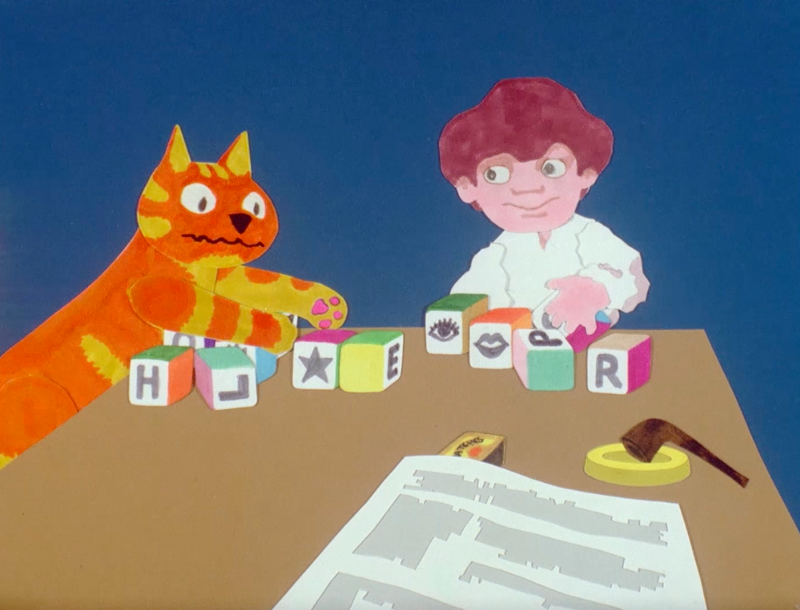 As well as road-safety, campaigns aimed at children were especially prominent — among the most prominent were the “Charley Says” animation shorts, shown in the 1970s and 1980s, which warned children against perils ranging from falling into water to playing with matches, to the risks posed by strangers. Campaigns aimed at adults also had huge impact. 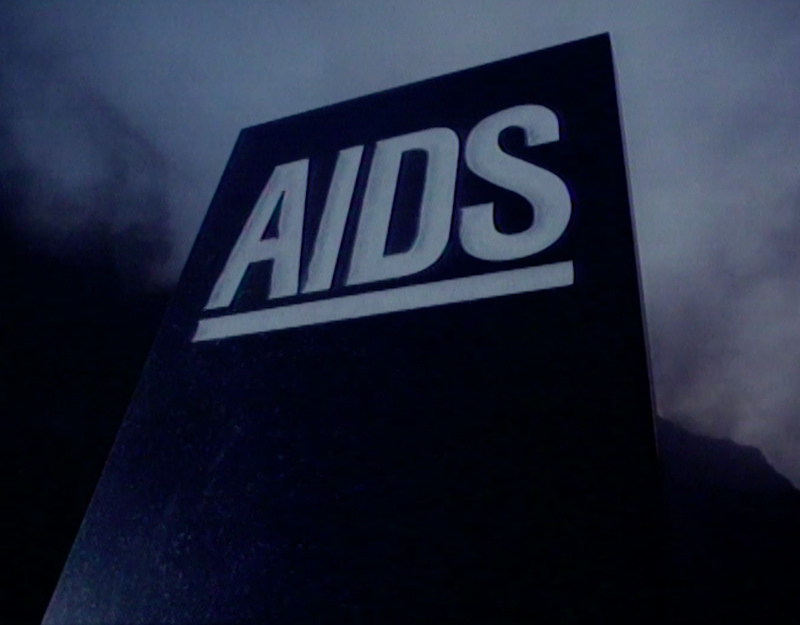 Among the best remembered is the AIDS campaign from the 1980s. 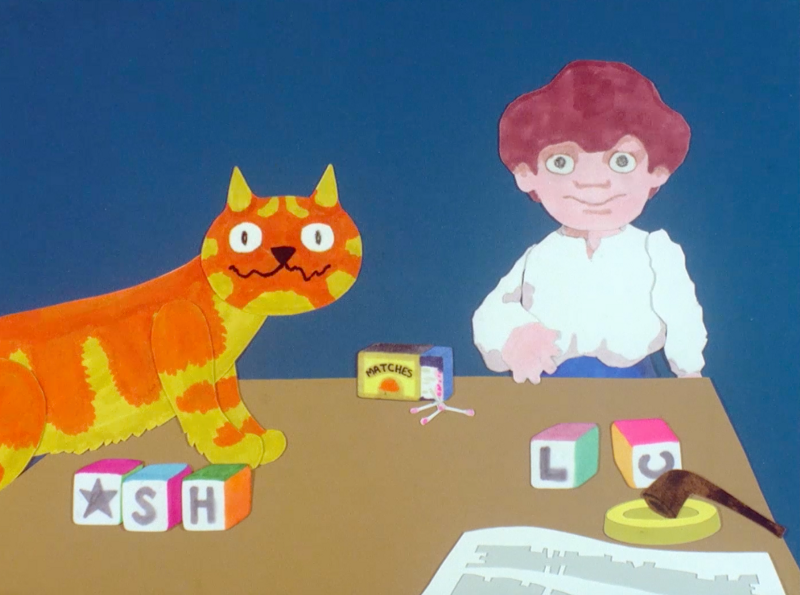 The 1960s and 70s was the golden age of British advertising. 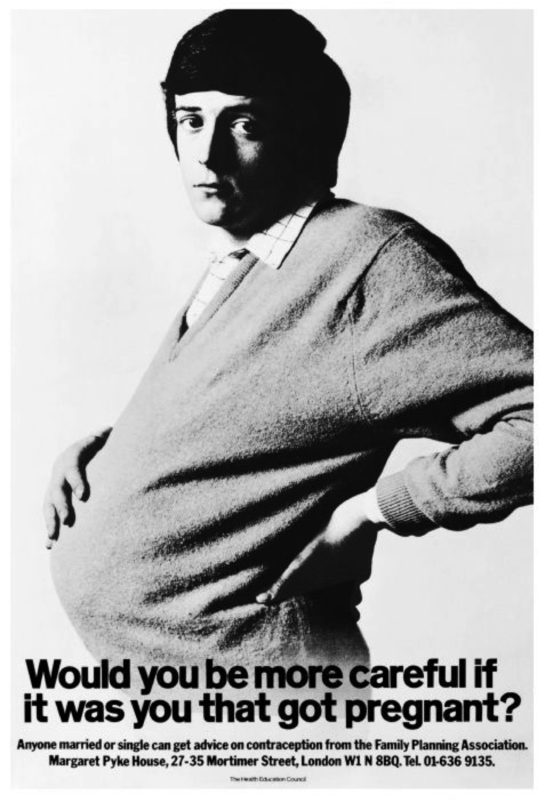 Many of the most iconic images of this time were created under the auspices of the Central Office of Information, including the famous “pregnant man” advertisement designed by Saatchi & Saatchi in 1970 for the Health Education Council. Seen as a creative breakthrough by the industry at the time, it created a storm of press coverage. 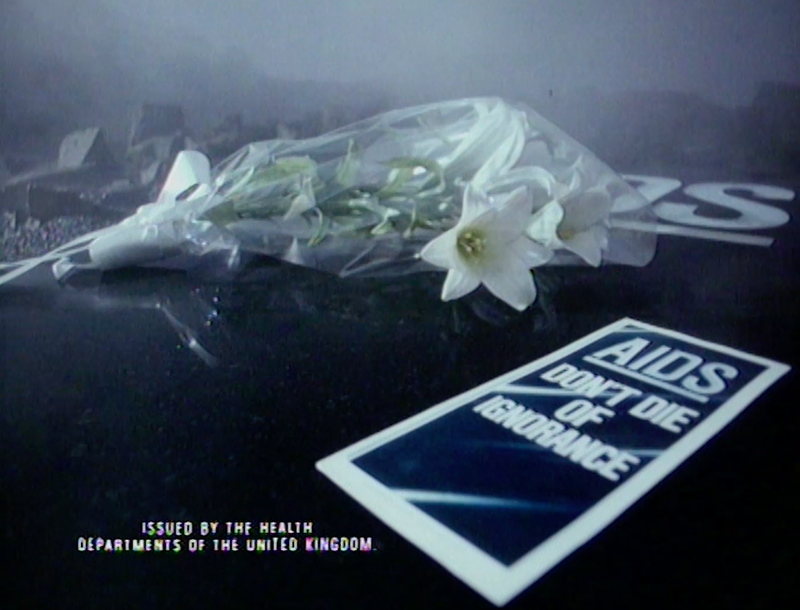 During the Falklands War a government communicator gave live, on camera briefings to the press and public. This is the only substantial example of this happening. Ministry of Defence official Ian McDonald’s deadpan delivery and refusal to take questions at first left the audience perplexed — but when much of the news for the first stage of the campaign included setbacks for the British forces, his lack of expression and immensely serious demeanour set the correct tone. Major changes were made to government communications after 1997. Among the key innovations were the creation of Downing Street’s first Strategic Communications Unit, plus the introduction of a government-wide “grid”. More reforms came about after the Phillis Review in 2004, which set up the Government Communications Network, along with a Permanent Secretary for Government Communications. 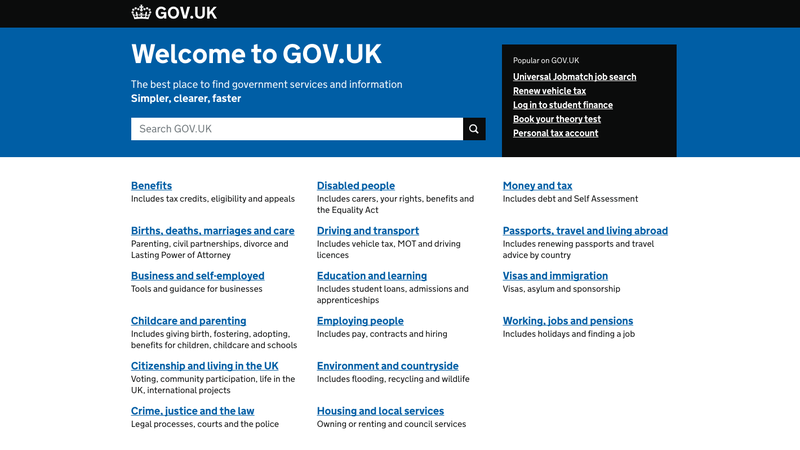 In 2012 a unified Government website, gov.uk was launched creating a single platform through which all government communications would be channeled. The first central government website appeared in 1994. 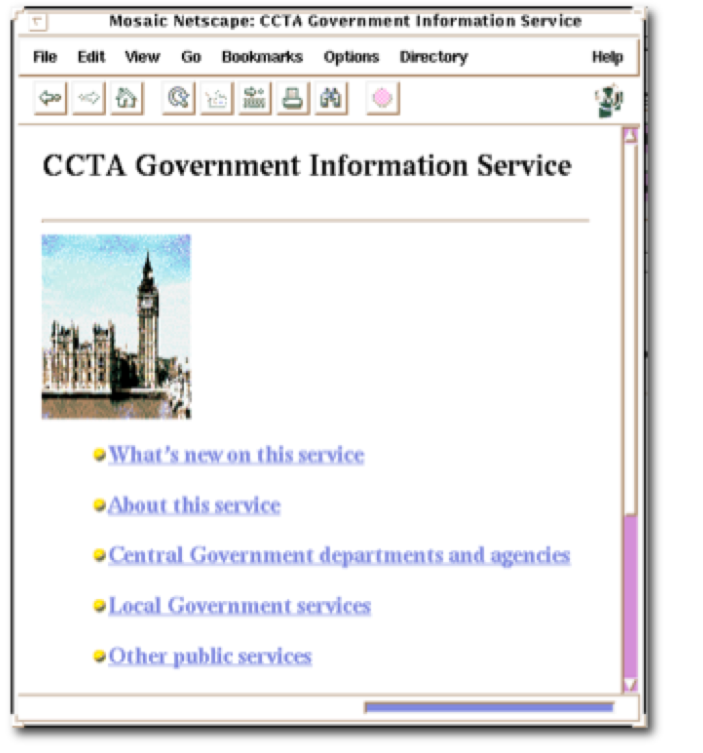 The CCTA Government Information Service site was a product of the Central Computer and Telecommunications Agency, based at the Cabinet Office. But the first Government department to have its own website was the Treasury, which put the 1993 budget onto the embryonic World Wide Web — choosing the URL hm-treasury.gov.uk, and setting a pattern for Government web addresses which has endured ever since and has even become the title for “gov.uk”. By 2010, Government was spending over £1 billion a year and had become Britain’s biggest marketer. As part of the coalition government’s reforms, the Central Office of Information was abolished and the Government Communication Service established. 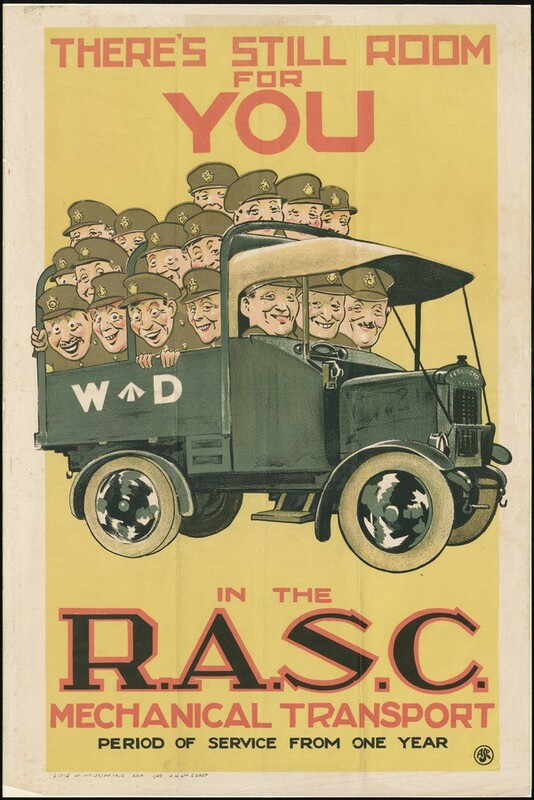 As we move towards the centenary of the establishment of a government organisation dedicated to communications, there are many current campaigns with close links to the successes of the past. 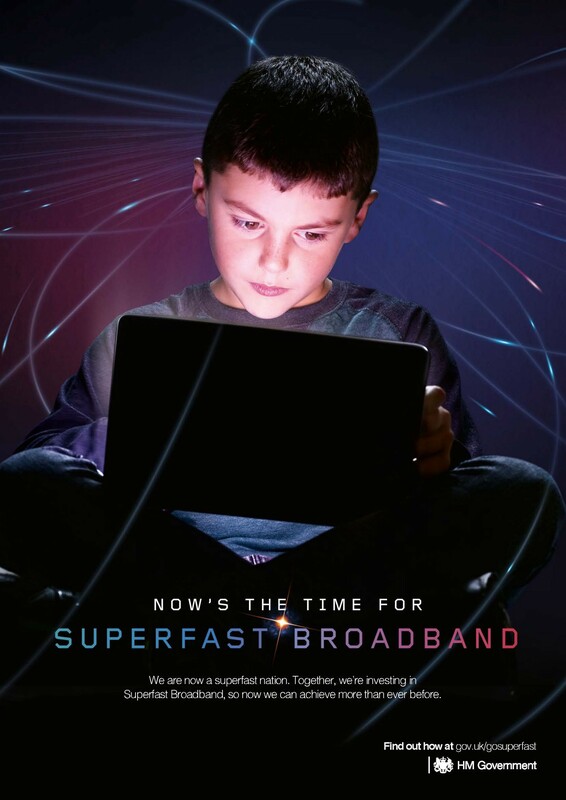 Department for Media, Culture and Sport developed the campaign Super Fast broadband to see an increase in its take up by cutting through the noise and creating mass interest in this new technology. The campaign reached 85% of the Adult ABC1 TV audience and revenue generated by increased take up is being returned to the public purse. BEIS developed the ‘Get In Go Far’ campaign to promote apprenticeships and to increase their take up among young people in non-traditional roles. Participation increased by 2.4% to the highest number on record. 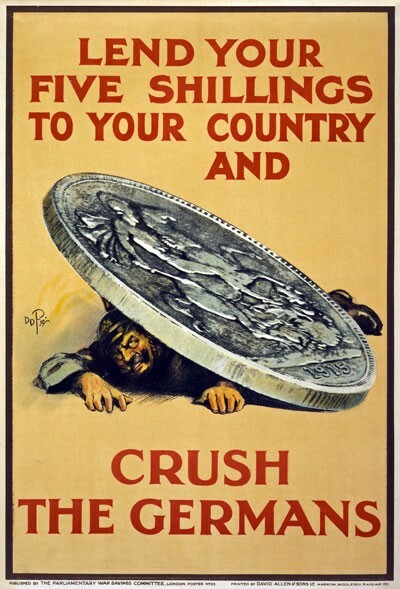 The GREAT Britain campaign, promoting the UK abroad, is often seen as an example of return on investment through communications. With government investment of £160m from its launch in 2012 to March 2016, GREAT has already secured economic returns of £2.2bn for the UK in terms of increased trade, increased tourism and students coming to study in the UK, providing an economic return on government investment of over 20:1. Perhaps the single most important lesson that today’s communicators should draw from the past is that quality has been what has endured over the last one hundred years. British government communicators should look back with a large degree of pride. The Government Communication Service is a professional body within the Civil Service. We offer training, official guidance and networking opportunities.